Details coming out of a new international patent application filed by Tesla reveals an infotainment-controlled HVAC system that could be intended for an upcoming Model S and Model X refresh. 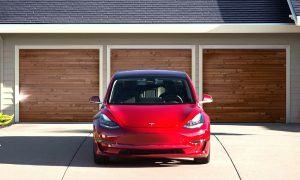 A similar HVAC control system has already been rolled out by Tesla in its compact electric sedan, the Model 3. The Model 3 uses two intersecting planes of air for vertical control. Lateral fins hidden within the electric car’s dashboard provide horizontal air control while also providing a clean, minimalistic look. Tesla’s filed patent describes features that are similar to Model 3’s air vent system that’s controlled through its 15″ center touchscreen. 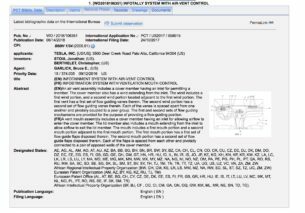 Patent US2017 / 058015 titled “Infotainment System with Air-Vent Control,” describes a system to manipulate the airflow inside the vehicle through the vehicle’s media control unit. The air vent assembly includes a first vent portion placed in front of the driver and a second vent portion that is placed in front of the passenger. These vent portions may be elongated as compared to traditionally known designs of air vent assemblies in that they have longer, more linear vents instead of more circular or boxy vents. Embodiments of the present disclosure enhance the capabilities of this air vent assembly to provide air flow in a leftward, rightward, onward, and a split configuration using a single rotary actuator. In certain embodiments, the user interface may also allow a user to define the degree to which the vents may cause air to flow in the rightward, leftward, or split direction. 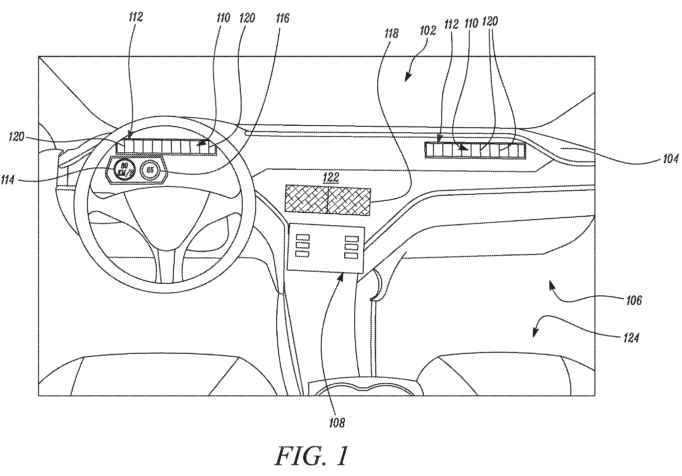 Similar to Model 3’s unique HVAC system, the one described in the patent application also allows passengers to customize the airflow within the vehicle according to passenger preferences. In certain embodiments, the user customizes the airflow, for example, the specific direction of the airflow. This can allow for a more comfortable experience for the occupants of a vehicle. 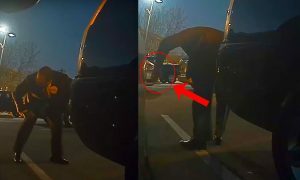 For example, certain occupants may desire for air to be directed towards themselves while other occupants may desire the temperature of the vehicle cabin to be set to a certain value without having air directly impinging on themselves. With anticipation running high that Model S and Model X is due for a refresh, an update to its HVAC system would not only unify the dashboard design across its fleet of vehicles but could also simplify production. 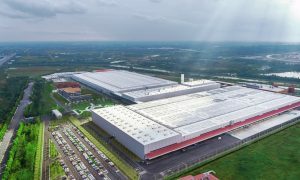 For one, Tesla’s unique air vent system requires less hardware and thus minimizes the need for multiple suppliers. 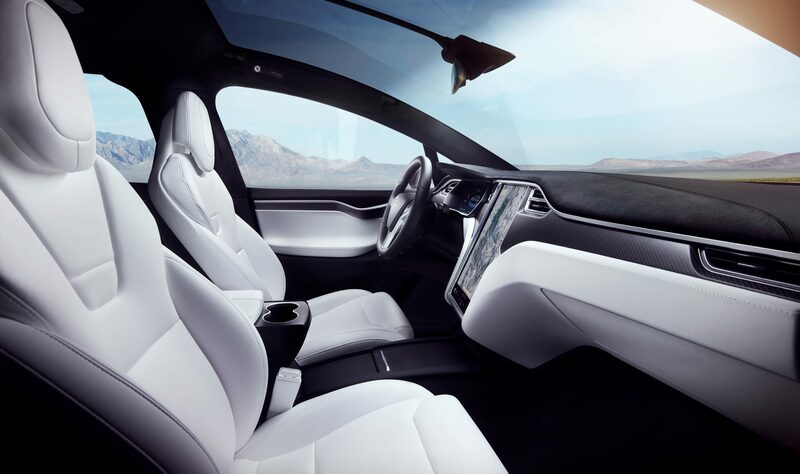 Using a simpler design, Tesla’s thinner HVAC system can efficiently utilize space in the dashboard, and provide a much more expansive interior feel. Such a system, as proven by the Model 3, would also give drivers better road visibility. 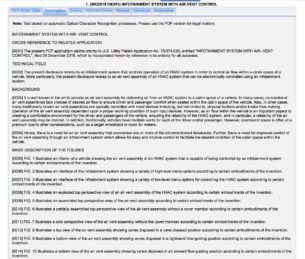 While Tesla’s international patent application did not specifically mention a vehicle model, illustrations included in the document resembles the design of the Model S and Model X’s dashboard. Figure 1, for example, features a dashboard that is similar to the all-electric luxury sedan and SUV. Apart from a similar-looking instrument cluster and infotainment system, the illustration also features a dashboard curvature that’s aligned with that of Model S and Model X’s current design. Armrest cupholders located between the front seats at the bottom of Fig. 1 also draws resemblance to ones found in the Model S and Model X. Adopting an HVAC system that’s akin to the Model 3 for the Model S and Model X would likely be a welcomed change for Tesla enthusiasts. 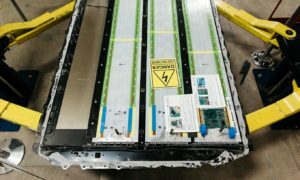 During his testing and teardown of the vehicle earlier this year alone, Detroit veteran Sandy Munro, who issued a harsh critique of the electric car’s build quality, admitted in a later comment that the Model 3’s HVAC system was “brilliant,” citing its simple yet ingenious design. Aside from major refreshes, Tesla continues to improve the components of its vehicles over time. 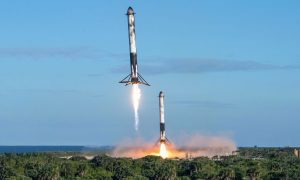 As revealed by Elon Musk in a recent conversation with Consumer Reports’ Jake Fisher, the Tesla CEO noted that improvements have been rolled out to the Model 3 since its production began, from better interior materials that reduce road noise to a software update that improves the vehicles’ controls. Tesla’s flagship Model S and Model X are no strangers to this, and a revamped HVAC system can only improve the experience for its driver and passengers.